Height: 1 1/4", Height with loop: 2", Base diameter: 1 7/8"
Potty training bells are essential to properly training your puppy with dog bells. Teach them to ask to be let outside by ringing this bell. It's as simple as familiarizing them with the bell, then rewarding them every time they ring it. Let them outside and give them a treat! 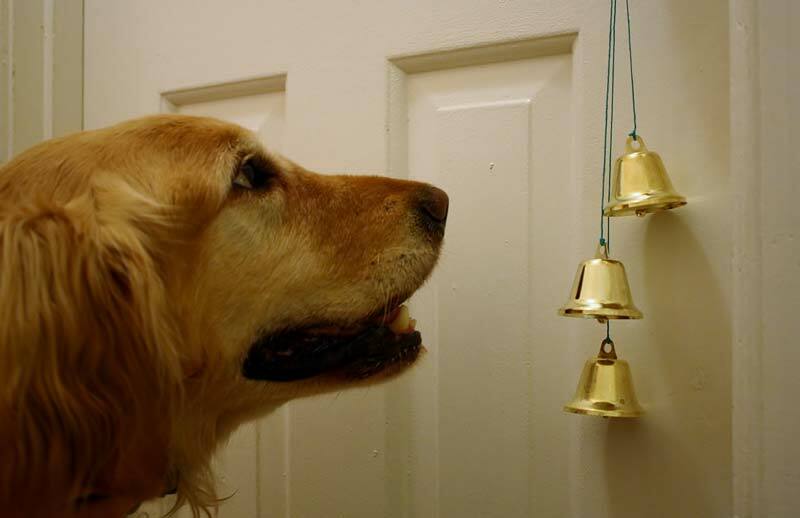 You and your dog will be happier with these dog bells!